In this final article on Judge Gideon, we will explore the ultimate victory of the Messiah and Israel at the end of this present age. Further, we will consider how God chooses His righteous warriors/officers (shotrim) for justice, and restores His righteous judges (shoftrim) for the coming Kingdom, just as He chose them at the beginning of the nation (cf. Deut. 16:19-20; Isa. 1:26). And, as we shall see, His choosing is determined upon how His people drink from the waters of the Word and observe and heed His dew of doctrine, which is sent down from Heaven above. What we see in the foreshadowing story is a gathering of the tribes of Israel at the sound of a trumpet and messengers sent throughout the land, which looks to the coming Apocalypse. Christ will send out His faithful messengers to gather His people; the trumpets will sound; and the enemy will be defeated when the Seed of God (Messiah) appears at the valley of Megiddo (a.k.a. the “Valley of Armageddon” in Revelation). Some Christian theologians and preachers have taught a false/mistaken doctrine of a pre-tribulation rapture, but the prophecies and foreshadowing stories of the Old Testament (Tanakh) reveal that oppression and persecution come before the deliverance of Messiah. In fact, many Christians already suffer great persecution. We should not mistake the gathering of the lost tribes of Israel, and the adopted faithful who are brought in for the coming Kingdom, with it. For those who know New Testament Scriptures and the Old Testament’s Book of Daniel, it is clear that the Lawless One is not immediately revealed when he stands. Rather, he first comes in deceptively under the banner of peace and humanity; then he begins to persecute and defeat the saints of God (cf. Dan. 8:23-26; 11:24, 31-38; 12:7; Rev. 7:9-11; 12:6, 14, 17). In the sixth year, which is seen in the summary of the sixth seal of the Apocalypse week, there is a window of escape for those who are sealed for the Great Sabbath (see Matt. 24:20-22), but many believers will be killed before then, even as many are slaughtered in the Middle/Near East and Africa today. And many believers will miss the door of escape and be killed until the end of the tribulations. There are not two folds of the flock for God, whereby Western Christians escape for messianic marriage bliss in Heaven as Jewish believers are persecuted by all nations on Earth; the near opposite is true: Christ will gather His people from many folds to form one flock, and He will lead them to the coming millennial Kingdom at Israel. Those who meet the Messiah in the air will do so at the last trumpet, after the Sukkot gathering in the wilderness (Feast of Tabernacles fulfilled), and there is only one last trumpet- when it is finished. As for what or who is retraining, soon to be set aside before the Antichrist is revealed, we must only look to what the Scriptures disclose; all prophecies must be fulfilled for their appointed times. The apostles, and indeed most believing Jews of the 1st century, believed that the Holy Spirit, with the help of a prophet, had to restore all things before the very end of the age. The mysteries of God have to be poured out. As Christ said, nothing would remain hidden, but all would be revealed for instructing and gathering the children of God. Christ, according to Scripture, can only return after a second out-pouring of Spirit for the Jewish people, for restoration and hearts turned back to their fathers (cf. Mal. 4:5-6; Matt. 17:11; Mark 9:12; John 1:21-25; Acts 3:17-21). Some pastors who think that they comprehend more than they actually do, and popular evangelists and preachers in the West, assert that “the Church” is no longer mentioned after the seven churches of Revelation; hence, they must be raptured. What they fail to discern is that there is no one, true church. They all go their own way, divided to teach whatever they please. The true Ekklesia is a called-out assembly, searched out by the Holy Spirit. The people of God are being called out, for the church denominations will soon be a thing of the past. In Revelation we see just that, when the Lord gathers His people for the coming Kingdom. During the great persecution, churches will fall away or go underground. Many will abandon the faith and not stand. Even today, many have failed to stand, and some even boast that they have atheists and homosexuals leading their congregations. Some openly hate Israel, and I read that some have even taken down their crosses and opened their doors to Muslims, who are offended by the Truth of the cross. Churches will not, and cannot, save the people, but God will save those who confess Christ and remain obedient to the Spirit. Further, the theologians who assert that “the Church” is no longer mentioned in Revelation, after the seven churches, fail to discern the greater meaning of the messages to the seven assemblies, which, as I explained in previous articles, are particularly summaries of God’s messages to His elect from all seven millenniums. In Isaiah 53, the Messiah is described as a sheep brought to the slaughter for the sins of his people. Through His sacrifice there is salvation and deliverance from sins. By the blood of lambs, smeared on the doorposts of Hebrew homes, God saved them from the deaths of their firstborn sons. This salvation and deliverance by Lamb of God is the main theme of the New Testament. The fleece of wool, particularly perceivable in the root of the Hebrew equivalent, suggests He who was cut away, that the signs of salvation and covering of sins would be found in the Lamb of God. The wool was put on the threshingfloor twice, and this shows the two arrivals of Messiah. He was with the Firstfruits of the harvest, and He will return to finish the work of the Ingathered crops. Further, the world will be reaped like a field for the coming Kingdom, and Christ will tread His enemies in the winepress of God’s wrath and vengeance for His people. All this symbolism points us to the greater, redemptive works of God- things for the end of the age. Remember, the first time Gideon found that the wool was soaked in water, and he wrung it out, just as the passage foretells Christ being poured out like water and dried up of strength. The second time, the dry wool was surrounded by water that covered the earth, which looks to the Gospel of Salvation spreading to the nations of the world. As in the days of Noah, when the world lacked rain and the righteous few prayed for deliverance, with increased aridity in southern Mesopotamia, God promised relief through Noah and rain to lift the curse. Finally, Israel will be atoned for and become a paradise for the elect in the Kingdom of Messiah, when the Former and Latter Rain comes to deliver His people. No longer will they be sheep among wolves, but they will be like the Lion of Judah, with the tables turned for justice and righteousness. A prophet once said that neither dew nor rain would descend from Heaven except by his word, but those who heed the message of restoration and salvation will be covered with the fresh dew of doctrine for the coming Kingdom, when God gathers the remnant of His harvest. Then that which was dried-up and handed over to the slaughterhouses of the world will be the ones who are strong among the nations. The valleys of the meek will be raised, and the lofty mountains will be brought down to the valley and humbled. As we continue in our story of Gideon, we come to a place in our faith where- as an old saying goes- the rubber meets the road. Particularly, we come to a time of testing our faith in God’s Word, in salvation, in a better world for tomorrow. During the Apocalypse, the hearts of strong men, all over the world, will fail, and many people will seek suicide rather than endure the physical and emotional darkness of war and tribulations. Indeed, as Christ forewarned for our age, we already see unparalleled suicide, especially here at home with the loss of military morale. When evil, injustice, and wickedness triumphs, good people begin to lose hope and heart. Disillusionment sets in, and most people- to some degree- grow indifferent and desensitized to evil as a survival mechanism. In the following passage, we find this foreshadowed by the fact that Gideon and his army pitched their tents at the well/fountain called Harod, which is translated as the Wellspring of Trembling (or Fountain of Fear). What we find in this story is that many are called, but few are chosen, and the chosen few cannot have faith in creating their own salvation, lest they fall under pressure, or faith within a larger group; rather, they must trust in the salvation of God. Very little faith is required within a large company of fellow believers. The closer we come to standing alone and against a worldly multitude for what we believe, the more courage is required, with more trust for God. If we are to tremble or fear, as the “beginning of wisdom,” it should be in a healthy fear of God. God, as Christ said, is able to destroy both body and soul. Between Gideon’s army of Israelites and their Midianite enemies, camped in a valley to their north, was the hill of Moreh. Moreh is a very interesting word, for it indicates a target or objective from above. Hence, it means early rain, as coming down from heaven to Earth, an archer, as shooting and an arrow landing, and a teacher teaching. The lesson is that God’s will shall be done as a target or pinpoint objective, and it is not dependent upon the multitude of men. According to the prophecies, Israel will be surrounded by all nations when Messiah- the Former and Latter Rain (Hos. 6:3), our Teacher– comes to save them, even when their own strength is shattered and counts for nothing (see Dan. 12:7). The faith that the relatively few have in the Word is all that is needed for the Lord YHVH to triumph on our behalf, and the final victory- as with the foreshadowing story- will be at the Valley of Armageddon. It probably needs no repeating, but this is a story of God’s salvation– a foreshadowing of Yeshua. Our own works of good deeds, of battling evil, cannot save us. The same lesson has been taught to Israel since they became a nation once again in 1948. Several wars have been won against Muslim nations that united together to destroy them. Perhaps the invisible hand of God was not seen, and some credit Israel’s military might, but the true Source of their victory was God. There is a distinction between boasting in ourselves and being bold for God and righteousness, yet humble in His presence. When God speaks against pride, He speaks against the haughtiness and arrogance of straying mankind. If we boast, we should boast in the marvelous and wondrous works of our Creator, but the wicked cannot tell the two things apart, for their arrogance and pride has blinded them. Now, therefore go to, proclaim in the ears of the people, saying, Whosoever is fearful and afraid, let him turn and depart early from mount Gilead. And there returned of the people twenty and two thousand; and there remained ten thousand. And the LORD said unto Gideon, The people are yet too many; bring them down unto the water, and I will try [test] them for thee there: and it shall be, that of whom I say unto thee, This shall go with thee, the same shall go with thee; and of whomsoever I say unto thee, This shall not go with thee, the same shall not go. (Judg. 7:3-4) KJV; intrpl. mine. In Revelation we find that the “fearful and unbelieving” will have no inheritance with the elect of God (21:8). Thus, Elohim YHVH instructed Gideon to let the fearful turn away and depart from Mount Gilead, specifically because Gilead means a heap of testimony or rock of witnesses. God wants those who strongly believe in His words and witness to His salvation. He turns back hearts that have the seed of trust and faith while turning away those who, in their own eyes, are their own god. Now I, the scribe, sound more like a preacher than a revelator; so I digress and return to symbolism within the story. When we look at the numbers, we find that the 22,000 confessed their fear and were allowed to turn away and depart from the mountain of witnesses. Less than one third of the people stayed to fight: 10,000. 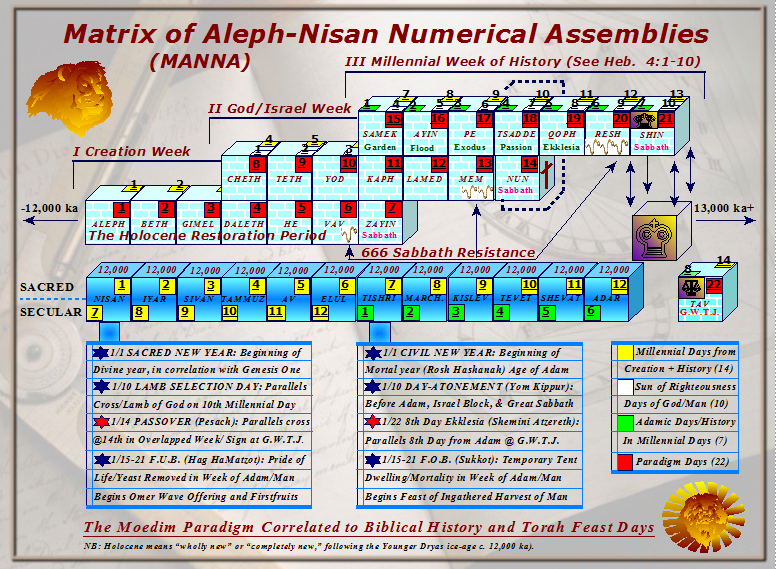 Without the Moedim Paradigm, these numbers mean little or nothing to readers, but with the appointed times paradigm, we know that the 22,000 represent the ones who will not inherit eternal life, out of 22 overlapping millenniums. The 10,000 represent those who will receive everlasting life and an inheritance on the 22nd millennium. They are counted with the Lamb who sacrificed Himself for our salvation at 10,000 years- also perceivable in the Aleph-Bet template of time. The 10,000 indicates the 10th day, and another 10th day is to come with national atonement for the people of God. Out of those who are saved, which the 10,000 Israelites symbolize, an even smaller number of believers is chosen by God for the battle at the end of the age. In the Marine Corps (body of water), they have a mantra: The few, the proud, the Marines. Likewise, during Gideon’s plight God chose relatively few warriors to deliver His people, and He tested and selected them on the water in a very peculiar way (by a means in which the Marines, in all their aquatic training, would never have dreamed of): God wanted those who thirsted for the water more than those who sought to bow in a dignified manner. Many people bow a knee and worship as they drink from the waters of the Word, but far fewer really thirst enough to abandon consideration of how others might perceive them. We must be zealous and “study to show ourselves approved” (see 2 Tim. 2:15). Interestingly, the Israelites did not know how God was selecting them for battle, yet God, through Judge Gideon, examined them individually for how they drank from the water of the Jezreel River, which, again, means the waters of the Seed of God– a.k.a. the Son of God, the Messiah. The LORD told Gideon that He would save the people and defeat their enemies by the 300 men, and the rest of the 10,000 Israelites were sent back to their tents. The number 300 was also given as a prophetic measurement for salvation in the length of Noah’s ark. (See article linked below.) 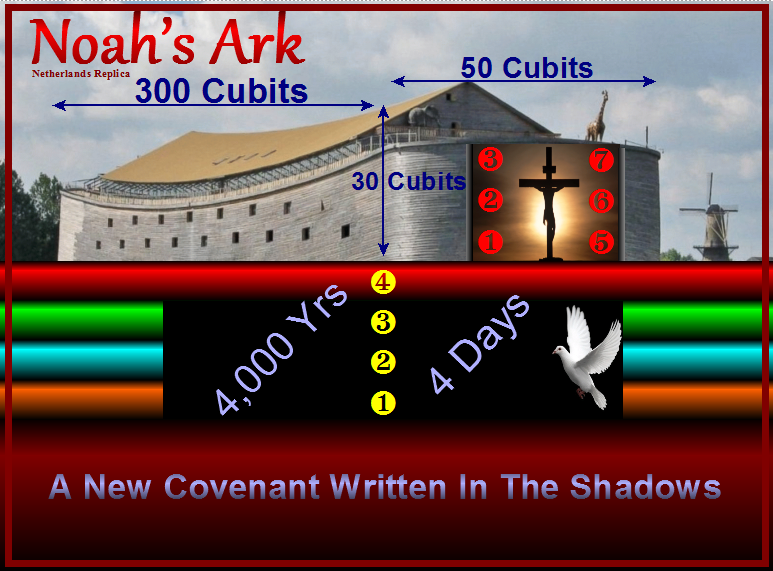 As I explained about the ark, the 3 floors, 30 cubits in height, and 300 cubits in the length are signs of the remaining time since the cross: 3,000 years to complete the millennial week from Adam. Hence, the message with these tithes is that the Lord chooses His end-of-the-age army from those who drink thirstily from the waters of New Covenant- many of whom were in ages past considered pagan dogs, i.e., from the Gentiles and lost tribes of Israel (see Matt. 7:6; 15:26). The 300 who lapped up the water like a dog took their trumpets (shofars) and food in their hands, and they prepared for war against the enemies of God, pitched below Gideon in the valley. Trumpets (or shofars), as shown in the Book of Revelation, warn of destruction, as well as direct movement and assembling of God’s people, and the bread in their hands is the nurturing Word that sustains the elect of God as they grow. In the plight of Israelite tribes under Gideon, we are not told of all the tribulations and oppression that they suffered before the son of Joash came suddenly on the scene, threshing his wheat in a winepress. We are simply told that the Midianites ruled harshly over them. We are granted a foreshadowing of the Lord choosing His people for the end of the age, with clues of how He chooses His warriors. Throughout the Gospels and Revelation, we are told of what we must suffer, but the story of Gideon reminds us that such troubles are small and menial in comparison to the joy and glory that overcomers will have when God sends Christ to deliver His people. In the end, there are only three camps to choose from: the enemies of God, the lukewarm and unbelieving who are spewed out, or the camp of believers. Of the camp of believers, 9,700 warriors were sent back to their tabernacles, ready for God’s use whenever He might call. In fact, Scripture instructs us to let few become teachers of the Word, for greater accountability is required for those who are called to instruct and battle for God’s truths. We can all answer the call and join in the wilderness Sukkot– the Feast of Tabernacles- as we await the Lord’s deliverance and coming Kingdom, but we are not all chosen to war with the camp of strife, which the Midianite children symbolize. Hence, anyone with faith can be on the winning team for God, if we choose to stay, but our battles should be chosen by God, as best fit for our unique gifts as believers. To offer my own work as an example, readers will find little in these articles about miracles of healing in today’s ministry and other such gifts of the Holy Spirit: things for personal well-being and lessons of everyday life. In a body of many members, I do not seek to be all for all people and offices. Does this make me less of a believer in Christ or perhaps less spiritual? The battle belongs to the Lord, and vengeance is His (see Deut. 32:35). He sets His soldiers in place when they obey. We can easily make a mess of the spiritual and intellectual battlefield, creating confusion that results in many casualties, when we are working out-of-place in our zeal to serve. This view by no means implies that we should grow indifferent and rest unaware and unready for the Divine call. Like the 9,700 Israelites sent to their tents, we should all wait prepared to receive instructions for whatever work in the Body fits us. Like the much later legend of 300 Greek Spartans fighting off hordes of invading Persians- to deliver the people from the forces of darkness, mysticism, and despotic tyranny, the 300 Israelites took up the sword of God’s Word (His commandments and instructions for them) to withstand the Midianites and those who sought to conquer their Promised Land and enslave the people of the Lord YHVH. Yet, it was not corporeal swords or piercing spears that would bring the chosen 300 and all of Israel their great victory. As we see by the Greeks, he who lives by the sword must indeed die by the sword; whereas, by the Hebrews we find that God is sublime and able to save His people by any means that He so chooses. Indeed, the breath of every life and the spirit of every man rest within His hands. Hence, the message from Gideon and his 300 is for us to trust in God’s Word: not by might, nor power, but by His Spirit. He knows when every sparrow touches down to the ground, and He is the One who has numbered the very hairs on the heads of His elect. If His people need but two things, those things are the bread of Scripture and faith to blow the terrifying trumpets on that awesome day. Notably, Gideon needed encouragement much like other Old Testament shadows of Messiah. However, unlike the fearful and unbelieving who went away from God, he trusted God to encourage him along the way. Moses believed God’s words, but his doubts in his own oratory skills were met by God sending Aaron to proclaim with him. Joshua stood with Caleb to tell Israel the truths of the Promised Land: that God would deliver it into their hands. Two spies were sent into Jericho while the rest of Israel waited by the Jordan River; two messengers were sent into Sodom, in the midst of a wicked people; and two witnesses will prophesy before the entire world from Jerusalem of Israel. Hence, God knew that Phurah would strengthen Gideon’s resolve so that he could spy out the camp of his adversaries and hear of their low morale. Phurah is a very interesting name, with meanings synonymous with titles of Messiah, such as a branch or branches, bough of a tree, and tree foliage. Hence, his presence suggests that Christ and the cross strengthen us to do God’s will. Christ- although Lord of all- became a Servant like Phurah to strengthen and save those who wish to do the will of God. As for the valley filled with Midianites, Amalekites, and eastern armies like locusts, with innumerable camels: An army like none ever mustered will come from the East for the Battle of Armageddon, even 200 million men filling the northern plain of Esdraelon, which in ancient times hosted the cities of Jezreel and Megiddo (see Rev. 9:16; 16:12-16). The eastern army will meet with the armies of the Beast and False Prophet, which the Bible describes in the likeness of locusts. Indeed, the Lord will gather nations from the East and the West against Israel for the day of battle of Almighty God. There, they will meet for a sudden end, when God becomes a Destroyer to the army of wicked destroyers. Gideon’s reconnaissance mission revealed that the army gathered against Israel had already received Divine revelation of the God-given son and his victory. A soldier in the enemy camp apparently had comprehension of spiritual things and interpreted the dream, explaining to his friend that the barley loaf that overturned the tent of the Midianites was actually a sword. The Midianites were seeking to starve Israel into submission, and Hebrews had to harvest and thresh their wheat in secret, fighting for survival and the right to work their own God-given land. Barley is the very first produce of the fields during harvest season, as celebrated before God with the Omer Wave Offering, and the soldier knew that the Israelite fight for survival, for food, would bring them victory in overturning the camp of their enemies. 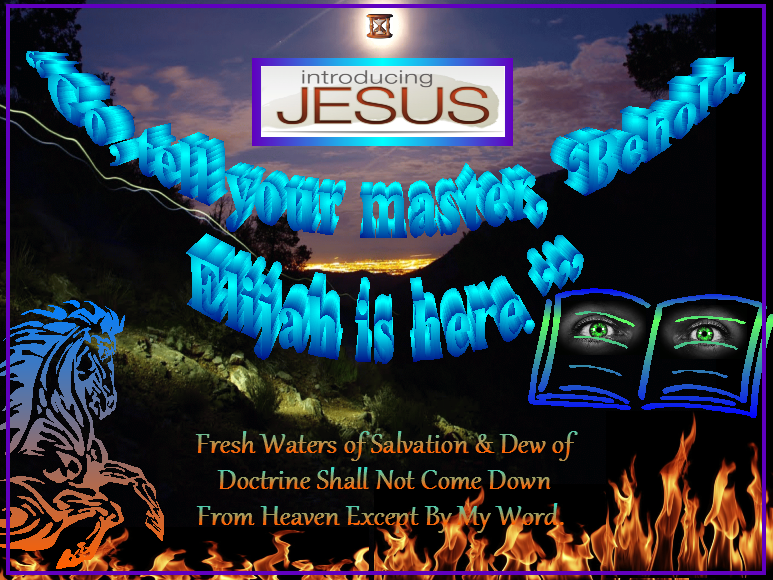 Likewise, the world has already received Divine warnings and the Revelation of Jesus Christ (Rev. 1:1). Today, many enemies of Israel, especially Muslims, deny Israel’s right to their land, and they engineer boycotts on Israeli products in their attempts to submit them. Nonetheless, even come famine and hunger (Matt. 24:7; Rev. 6:5-6) and all the ills of nations assembled against them, God will arise to save His nation and people. Just as a rumor began to spread in the camp of the Midianites and Amalekites, the Gospel of the Kingdom will be spread around the world, for all the nations have been warned not to tread upon the nation and people of the God of the universe. When I first wrote of these things concerning the sword of Gideon, I was reminded of the power and glory of God’s Spirit. One night, as I dreamed, I saw something similar to the medieval legend of the Sword and the Stone, only the stone in my dream was more like a great boulder. In it was buried a long sword, up to its hilt. Thus, I watched for someone to come along and extract the weapon, but no one came. After a moment of waiting, I saw the sword begin to rise from the great rock, like Prophet Daniel said: “Without the hands of man.” And I realized in that moment that the invisible Holy Spirit was withdrawing the sword from the great Stone. As it was pulled from the Stone, the clouds above began to part, and soon the light of the sun lit upon the polished, glistening steel, followed by an explosion of glorious rays- so bright that it awoke me from my sleep. It reminded me that God alone can reveal His mysteries, and God can reveal them to whoever He pleases. He is the One who lifts His sword of the Word as a banner for His people, although many of them have been void of understanding, not considering the end of these matters (see Deut. 32:28-29). The Lord YHVH promised to bring back Israel to Jerusalem and their own land, and unlike the false Ka’aba rock of the Mohammadans, also mentioned in the Deuteronomy 32 passage, God will stand for His people and turn back the vengeance of His enemies upon them (see Joel 3:1-5). And all who join with them to take the Holy Land will fall by the sword of God’s Holy Word, held bright and glistening in the hands of the Holy Spirit. This is the Gospel of the coming Kingdom, hidden in the plight of Gideon and his 10,000 faithful Israelites. Every line from beginning to the end correlates with this panoramic picture of redemption for the elect and judgment upon the Lord’s enemies. It was the interpretation of a Divine revelation that moved Gideon to praise Elohim YHVH and return to the army of Israelites, to instruct them to arise because deliverance from their enemies was assured. Knowing that this story foreshadows the Deliverer coming from Zion to save all of Israel (see Isa. 59:20-21; Rom. 11:26-27), we also know that the elect will arise in faith to battle when the vision of the Book of Revelation is properly interpreted for the Day of the LORD. Both concern the Sword of the Spirit (i.e., through Gideon and Messiah) conquering the enemies of God while nourishing and saving the elect from persecuting and oppressive nations (cf. Judg. 7:14; Rev. 1:16; 2:12-13, 16; 18:13-16). Hence, victory comes through faith in the Word of God, and our faith in the Word comes with comprehension of the vision as given by the Holy Spirit. Like Christ, Gideon first received the revelation from God, then he set out to prepare the elect for a defeat of miraculous proportion, down in the valley of battle. He prepared them by dividing the 300 men into 3 companies; putting a trumpet (or a shofar) in one of each of their hands; putting a hidden lamp/light within their other hands; and by telling them to imitate and follow him outside of their camp. If we compare this to Messiah, we find that the first thing He did to prepare Israel was stand in the synagogue and declare that He was anointed by the Holy Spirit upon Him to “preach the gospel [good news of deliverance] to the poor…to heal the brokenhearted, to proclaim liberty to the captives and recovery of sight to the blind, to set at liberty those who are oppressed; to proclaim the acceptable year of the LORD.” (See Luke 4:18-19; NKJV; intrpl. mine.) Hence, not only did Christ preach deliverance, He also declared the acceptable year thereof, when He stood on the Sabbath and said, “This day this Scripture is fulfilled in your ears”- meaning the Great Sabbath day. For, if we continue reading the passage in Isaiah, it says that the Spirit of the LORD is upon Him to proclaim “the day of vengeance of our God; to comfort all that mourn; to appoint unto them that mourn in Zion, to give them beauty for [instead of] ashes, the oil of joy for [instead of] mourning…” (see Isa. 61:2-3; KJV; intrpl. mine). Moreover, the message is about the times of God as much as it is about the deliverance of God through the Messiah. Hence, we know that something in Gideon’s message of preparation and deliverance of Israel concerns the Day of YHVH and the Divinely appointed times. So the 300 men divided into 3 companies is equivalent to the Ark of Noah bringing deliverance to the elect family, which God instructed him and his family build 300 cubits long with 3 floors for the saved. As I have written several times now, this means that the Messiah will return, since the time of the cross, on the third millennial day (see Hos. 6:1-3). The number 3 is as important in the New Testament as it is in the Old Testament, when Israel was to meet with God on the 3rd day; the first miracle Messiah did was on the 3rd day at the wedding in Cana of Galilee, and throughout His ministry He spoke of dying for the sins of the people and returning on the 3rd day. The final three assemblies of the millennial week are for New Covenant salvation, and of the third day after the cross (as with Laodicea), the Lord Yeshua says that He will grant overcomers to “sit with Me on my throne” (see Rev. 3:21). It is the same message over and over, and 300 is a tithe concerning the 3,000 years that complete the millennial week of God. Specifically, the 300 points us Shin: the 21st letter of the Hebrew alphabet, when Messiah comes and the Kingdom is given to the saints of the Most High. It is the Day of the LORD (see Moedim Paradigm). Shin, the Hebrew letter for 300, is the Great Sabbath millennium. Concerning the rest of Gideon’s message of deliverance, we must look upon Christ and imitate Him, to be conformed to the image of the Lord. When we watch the Lord and follow Him (see Rev. 19:14), we know what to do, and He leads us outside the camp, to the Sukkot of the wilderness to await His deliverance. We first receive the message of the Divine vision, the Revelation of Messiah, then we take our trumpets for warning the enemies of their soon destruction. For those who know the Book of Revelation, it is replete with its trumpet warnings to oppressive and persecuting nations during the great tribulations. And salvation is revealed at the last trumpet (1 Cor. 15:52), at the last time/year (see 1 Pet. 1:5). Gideon also gave each of his elect warriors a hidden light, covered by a vessel so that the enemies would not see their approach until the appointed time. Then, when the trumpets sounded, their enemies would finally see their lights. As awaiting believers, the world does not see the light of our expectation and the hope that we carry: the blessings of a new world and everlasting dominion established in righteousness and truth, free from tyranny, wickedness, and oppression. They can only see the earthen vessels of our bodies, unable to look beyond veils of the flesh to the light of the Spirit manifest within. Like Gideon’s pitchers that covered the lamps before their enemies, they are blinded to the enlightenment that we carry until we are broken enough to follow the Word and share the glory of the Lord, our Elohim YHVH, with the world. Oftentimes, it is not until great oppression and tribulations and martyrdom that the people of God will shine His Light, just like the broken earthen pitchers in the story of Gideon. A fire of refinement comes to the world from Messiah (see Luke 12:49), if we who believe let our lights shine out of vessels fitted for the Lord’s use. One match alone gives very little light, but imagine the light of billions of believers on the darkest of nights. The tribulations of the Apocalypse are the darkest age of the world, and we who follow the Lord will have tribulations during it (see Matt. 10:38; 1 Pet. 4:12). In fact, millions of Christians have already suffered slaughter and horrors in the world, from the beginning of the Gospel to this day, yet they remained faithful to the end of their lives. The places that Israel’s enemies fled to indicate a scourging, thorny, discomfiting dance of derision: Bethshittah means house of acacia; Zererath meaning a piercing or puncturing of sorts, Abelmeholah was a meadow of dance in the Jordan Valley, and Tabbath means famous or infamous. Together, the places that the Midianites and eastern armies fled to paint a comedic picture. While Gideon’s small companies stood still, the multitude that filled the valley panicked at the sight of the lights and the sound of the trumpets, and they began to turn on each other, for they were a confused mix of several armies. Indeed, its prophetic to the prophetic of the coming of Messiah, when the nations vainly assemble to and take counsel together for casting off Christ and submitting Israel (see Ps. 2). The Lord YHVH will have them in derision. The seven years of Midianite persecution of Israel (see Judg. 1:1)- foreshadowing the seven years of the Apocalypse- were almost over. No longer would the children of strife destroy the harvest of God and the increase of the earth that fed the elect sheep (6:4), and this looks to the fact that the Messiah will destroy those who slaughter His people and destroy the earth in their warring (see Rev. 11:18). A prophet had prepared Israel for Gideon’s deliverance, reminding them of the exodus of Moses and that liberty from oppression comes with obedience to their Maker (6:7-10), and this looks to the fact that hearts must remembers and turn back to the fathers of the faith. Then Messiah will fight for the people as He did in the day of battle. After the victory of Gideon’s 300 elect and all of Israel, their enemies fled for their lives as they were pursued by the sword. Gideon sent messengers throughout all the land of Israel, commanding them to join the battle against the fleeing armies of their enemies, to take back the waters of Bethbarah and the Jordan- the House of the Forded and divided waters of the Word. The two princes of strife were beheaded, and this looks to the Year of Recompense, when God renders due justice to the children of the Beast and False Prophet of Mohammad- to anti-Christians and Muslims who behead His people (see Rev. 20:4). 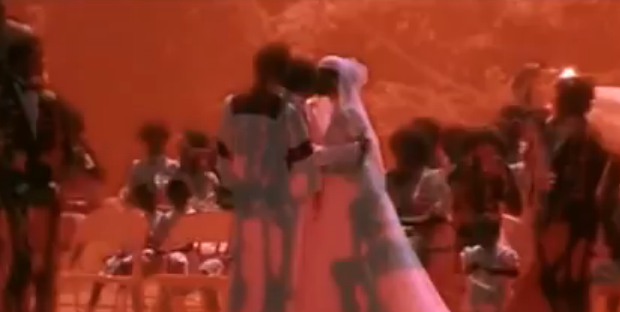 It also looks to the capture of the Antichrist and False Prophet. Those who fall on our Rock will be broken without remedy (Matt. 21:44), and those who tread upon His people in their wrath will be treaded by Messiah when God stands for His people (see Rev. 20:15-16). Oreb means raven, and ravens neither sew nor reap for the coming Kingdom (see Luke 12:24). They only devour. Oreb is also interpreted mosquito, as bloodsuckers. This may provide us a clue as to how God sees His end-of-the-age enemies, i.e., as vultures. And it may explain the fate of their carcases eaten by birds at the Battle of Armageddon. Zeeb means wolf: the notorious enemies of shepherds and killers of sheep.While the raven represents Islam, the wolf may be more difficult to discern. Rome, according to its ancient legend, was founded by two barbarians, Romulus and Remus. Supposedly, they were infants nursed by a wolf in the 8th century B.C. Rome also scattered the Jewish and Christian flocks. Indeed, Christ compared Rome and the renegade priesthood to a wolves scattering the sheep (see John 11:12; Mark 14:27; 43-44). Prophet Habakkuk described Babylon, the destroyers of Jerusalem and the Temple, as wolves (see Hab. 1:8), while Prophet Ezekiel described the priesthood as wolves (see Ezek. 22:26-27). The early Christian Ekklesia was also warned of wolves becoming leaders in their assemblies to devour them (see Acts 20:28-29). Further, the Nazis boasted that they came like wolves on the Jewish sheep. Its seems as if the origin of the Antichrist cannot be ascertained until he sits in the Temple blaspheming and feigning himself as God. What we do know is that he will be for Muslims. The prophetic passage of Psalms 83:2-18 describes the cursed fate- like Oreb and Zeeb- that awaits them. This concludes the parallels of Christ the Deliverer to Judge Gideon and his deliverance. All have fallen short of the glory of God (Rom. 3:23), and there can only be one, true Shepherd of the Flock. This can be seen in the fact that Gideon later made an image of spiritual adultery with the golden earrings of the Ishmaelites. Nonetheless, God completed the shadow of the generation hidden in Christ, granting the children of Israel 40 years of rest. Gideon and his Sanhedrin– his 70 sons- sat in the likeness of the glory of Messiah, as written in the shadows of the stories of old.